Robert Frost sitting on a recently-mended wall. Robert Frost was born in 1874, the same year that Athens demolished the Frankish Tower in the Acropolis. 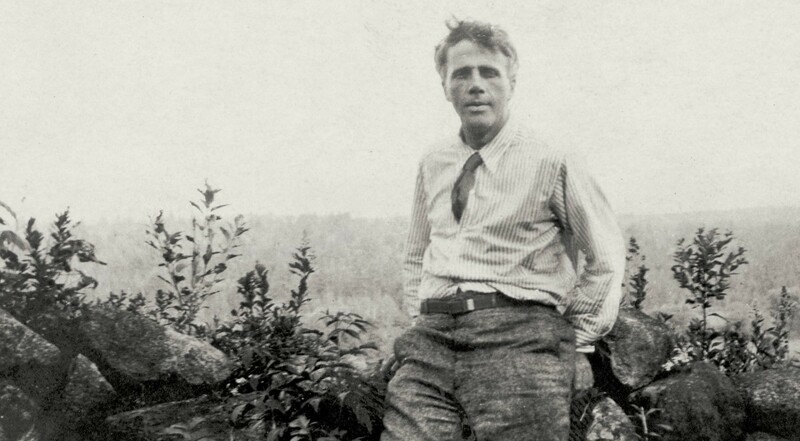 Robert Frost never graduated from college, although he attended Dartmouth and Harvard for short spells. I found God wasn’t there. At least not over half.